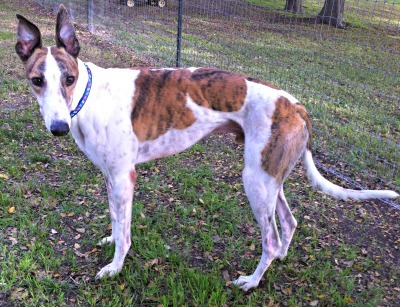 DiNozzo, aka Eddie Gallo, is a 4-year-old white & brindle male born May 30, 2009. His sire is Castor Troy and his dam is Dobbs Fairy. 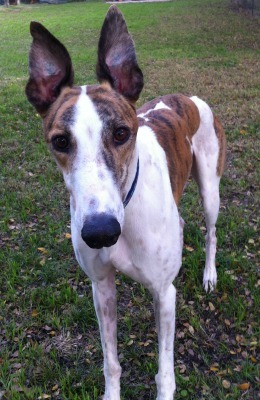 DiNozzo has 168 races on record from May 25, 2011 to October 24, 2013, all at Gulf Greyhound Park. Talk about being ready for retirement! DiNozzo has passed an initial cat test, but will need to spend time with them in a foster home. He is fine with small dogs.